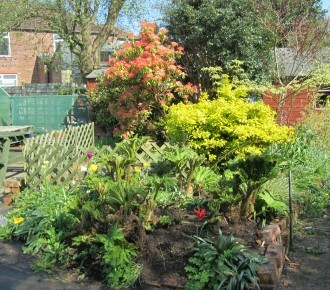 Down an alley in a quiet back-water of Chorlton, Manchester, lies Chorlton Nursery. Here you will find friendly, helpful and expert advice. We have over 600 varieties of herbaceous perennials, shrubs, alpines, heathers, bulbs, climbers, roses, conifers, and cottage garden plants. 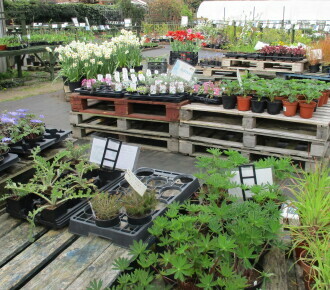 We can help you choose the perfect plants for your garden. We’re proud of our little oasis away from the hustle and bustle of city life. Spring colour for now, colourful borders, pots, window boxes, hanging baskets for the summer and hardy vegetable seedlings for harvesting later! Our popular sweet peas are out for sale now. We have 2 different varieties – ‘Incense Mixed’ and ‘High Scent’. 18A Vicars Road became a market garden during the Second World War when private tennis courts were dug up for the Dig for Victory campaign. It has remained a working nursery ever since. Over 27 years ago, during an intensive horticultural training course, I realised that I had a true passion for plants and propagation. 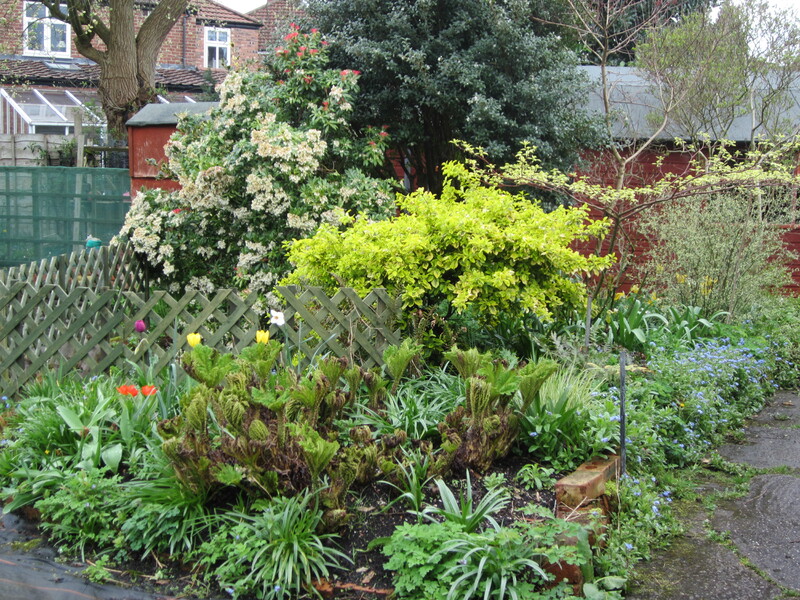 I was incredibly fortunate to discover the beautiful site at Vicar’s Road and knew instantly that this was the perfect space for me to turn my passion for plants into a career. 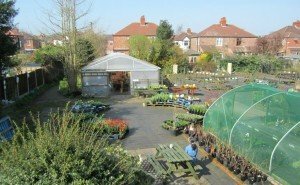 I established Chorlton Nursery as a retail plant nursery in April 1990 and, with the help of a dedicated team of helpers along the way, I have been growing plants on-site ever since. 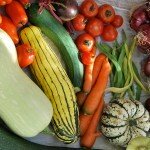 We have built an enviable reputation over the last 27 years for localised knowledge of what grows well and where. Local peoples’ love and support of local businesses has meant that we have been able to continue doing this during times when competition from big business has increased. 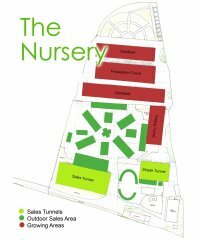 Set amongst a circle of houses, the Nursery is extremely unobtrusive and almost invisible from the main road. The entrance is along a quiet pathway on Vicar’s Road and people are often surprised at how large our premises actually are. 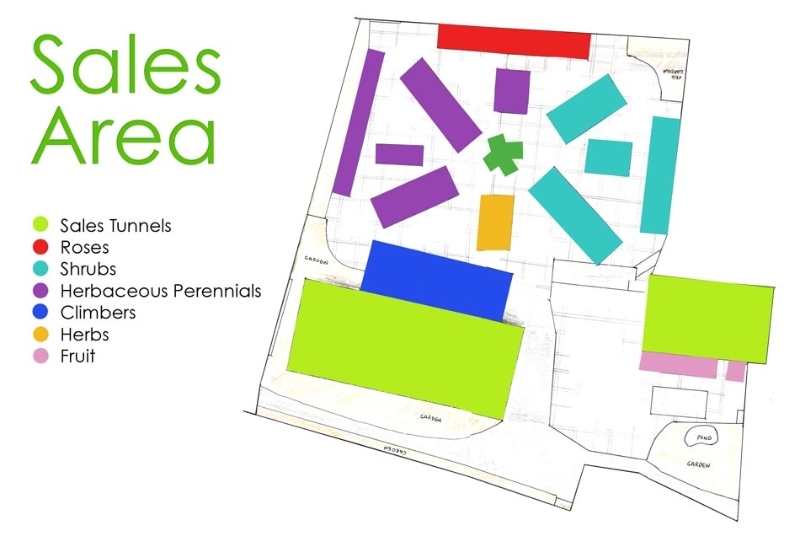 About ninety percent of our plants are grown on site either from seed, cuttings or division. The remaining ten percent we buy in from exclusively British suppliers. We feel that a policy of supplying British-grown plants protects our environment by lessening the chance of introducing or spreading non-native pests & diseases. We have over 600 varieties of trees, shrubs, roses, herbaceous perennials, cottage garden plants, climbers, herbs, fruit bushes and trees, bedding plants and vegetable seedlings available at various times throughout the year. We also have a large selection of ready made seasonal hanging baskets and containers to add instant colour to your garden. 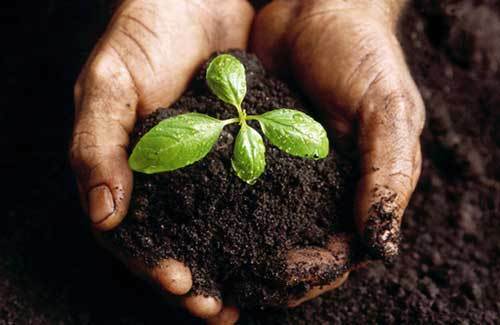 All our plants are grown in peat-free, organic compost made from composted green waste and bark. We use a controlled, slow release chemical fertiliser. In our opinion this is more environmentally friendly than most fertilisers as it only releases nutrients to the plants as and when needed and doesn’t leach into the water table. We keep chemical spraying against pests and diseases to an absolute minimum and only use it as a last resort. Where possible we rely on natural and cultural control methods to reduce the presence of plant problems, including hand-weeding all pots and encouraging birds and beneficial insects into our garden to control pests. Our plants are grown in a natural environment and you can rest assured they can look just as good in your garden as they do in the Nursery. Whenever you come to the nursery it will be different, season to season, month to month and week to week. 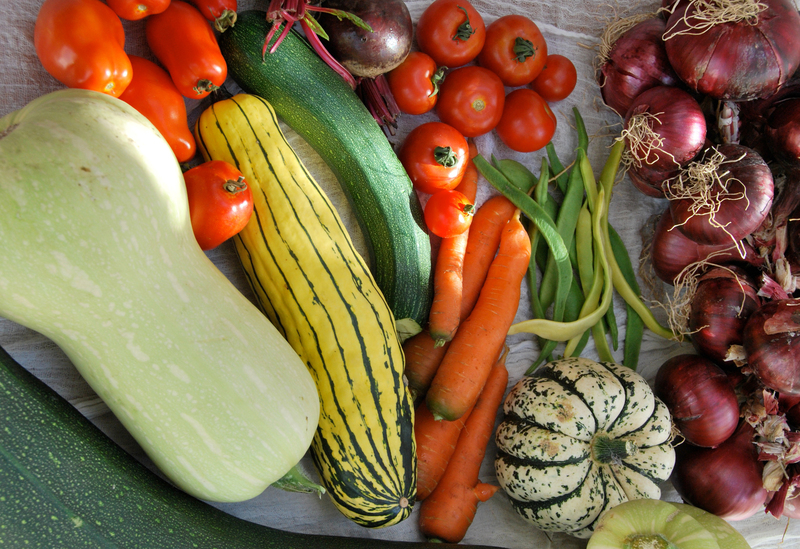 As usual, we will grow a large selection of vegetable and herb seedlings throughout the growing season. 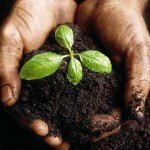 All our edible plants are grown in peat-free organic compost with occasional liquid feed of organic seaweed. The only tunnel which is kept frost free i.e. 3 degrees with a temperature controlled fan heater. The tunnel has a heated bench along one side where seeds are sown and cuttings taken. 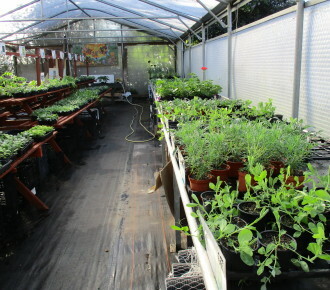 The little seedlings are grown on the other side until large enough to be moved to the potting tunnel. The seedlings and cuttings are potted on and hardened off before they are either moved to the sand beds to grow on or out for sale as bedding plants and vegetable seedlings. Long beds which have a thick layer of sand and leaky pipes embedded in it, covered with a permeable membrane. This is the most efficient use of water as there is no wastage. 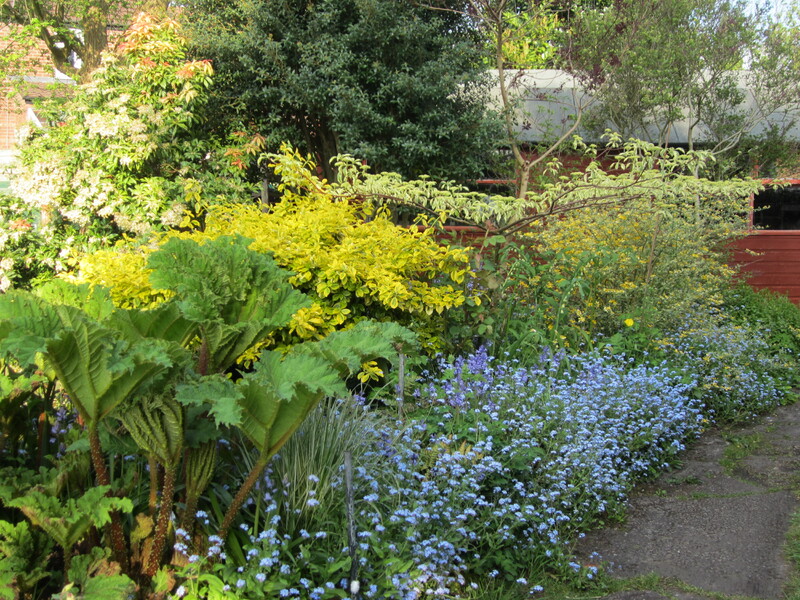 Shrubs, herbaceous perennials, herbs, grasses, climbers, roses are grown on until they are rooted through. 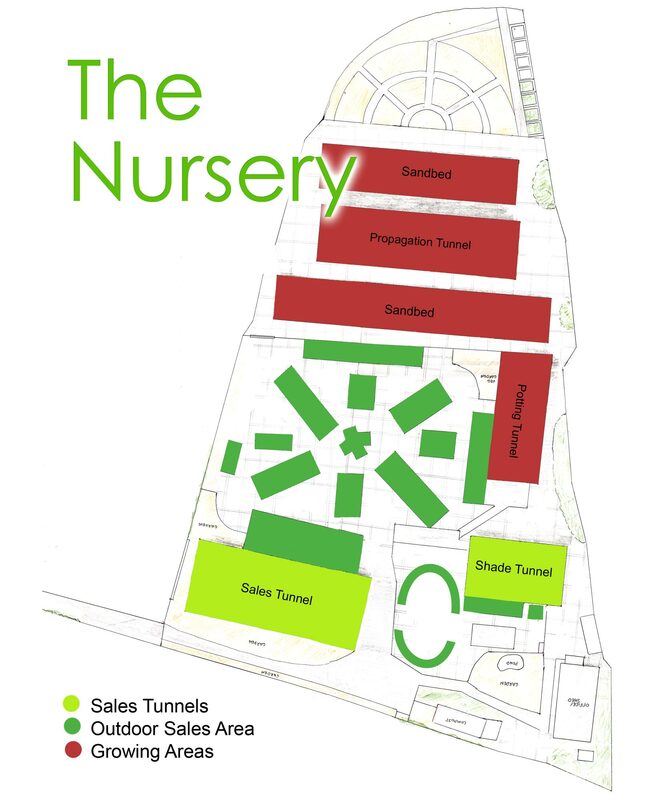 This tunnel has bedding plants and vegetable seedlings from April onwards. These plants will have to be hardened off before planting out. As the season goes on, we will move a lot of the seedlings outside and pot some up into larger pots and baskets. We will also have a large selection of ready made seasonal hanging baskets and containers. 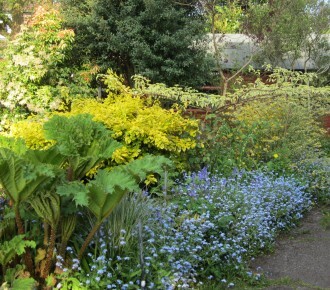 Last year we have converted one of our growing tunnels into a sales area for shade-loving plants.